Uptown Toronto is often overlooked by visitors, as they’re too focused on the more famous attractions downtown. 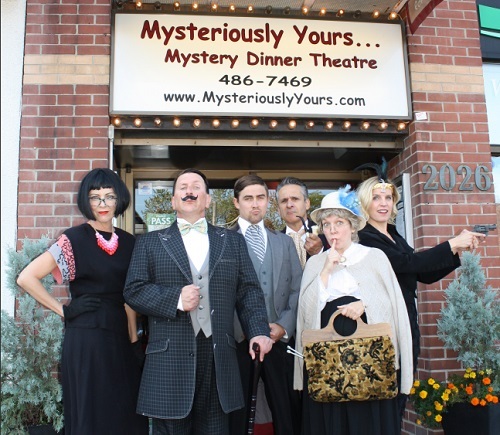 Among uptown’s fantastic boutiques and restaurants is a hidden gem; offering both great food and intriguing entertainment, known as Mysteriously Yours Dinner Theatre. 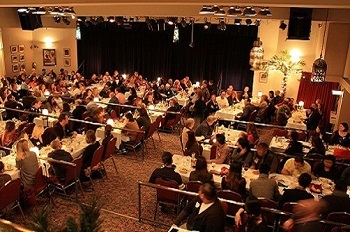 “We are a murder mystery dinner theatre,” explains Iliki Mahairas, the General Manager. While the guests enjoy their meal, a colourful cast of characters comes into the dining room. After getting to know them a bit, one of them inexplicably dies, and it’s up to the audience to help the detective solve the case by questioning the characters. They certainly have to be, as it’s not as easy as just walking onto a stage and playing a part. As in all theatre, the actors have to be ready for anything. Mahairas says, “There is rehearsal because it is scripted, but there’s also a lot of improvisation because they’re schmoozing with the guests.” Improvisation is tricky, as you have to be ready for anything the audience throws at you and still be in character. As they’re sitting right at the table with the guests, they have to be especially quick-witted. “When guests arrive, it’s sort of at their own pace,” she says. 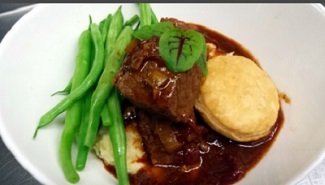 “Some people start with a round of drinks; some go right into their soup or salad. The characters come out at 8:00 p.m., so most are finishing dessert.” Once that happens, the real fun starts as the mystery begins. In fact, the show gets quite a few repeat visitors. “We do have people who come here every year to celebrate. We have one couple who celebrated their first anniversary here 20 years ago and has come back every year ever since,” Mahairas says.